you can pick ’em up and say ‘text Eric’ and say what you wanna say and it transcribes it. You can query anything through Bing by just saying the words. I mean, all that’s already there. Fully functional, been there for a year. Siri-like functionality is non-existent in Windows Phone software. It’s like saying Android has Siri just because it can recognize a limited set of voice commands. Siri co-founder Norman Winarsky in an exclusive interview with 9to5Mac likened Siri arrival to “a world-changing event” and he’s right about that. Stemming from over 40 years of research into artificial intelligence funded by DARPA via SRI International’s Artificial Intelligence Center through the CALO (Cognitive Assistant that Learns and Organizes) program, Siri understands complex human speech, it is conversational, learns over time and sports the agent capability allowing it to act in a sandboxed environment on your behalf, pull data, seek facts and more. 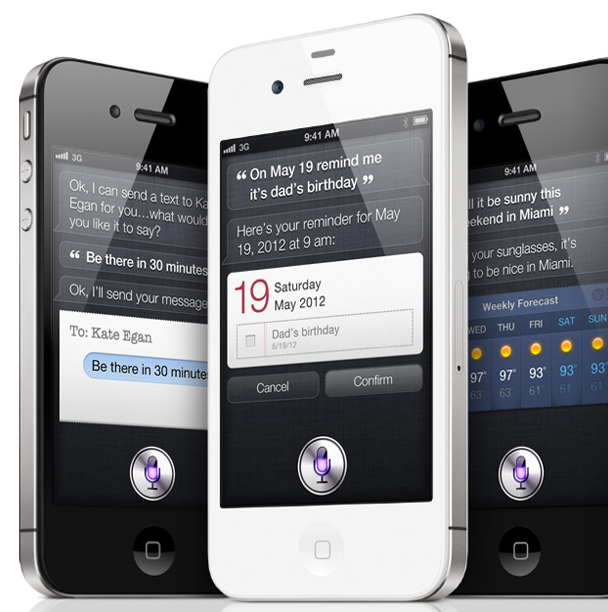 There’s no doubt rivals are scrambling to develop their own Siri-like software and Apple bringing out Siri on the iconic smartphone will mainstream the technology. Repercussions on the computing industry will be felt for years to come, causing a paradigm shift in how we use our devices. It is also reasonable to assume that Siri will be rolled out gradually to other Apple devices, including Macs, more services and languages will be added and support in third-party applications via a software development kit is also to be expected in the future. Finally, Apple is thought to be developing a networked television set with a Siri-fied interface as one of its flagship features (here and here).